Fleeing Russia amid the chaos of the 1917 revolution and subsequent Civil War, many writers went on to settle in Paris, Berlin and elsewhere. In exile, they worked as taxi drivers, labourers and film extras, and wrote some of the most brilliant and imaginative works of Russian literature. This new collection includes stories by the most famous émigré writers, Vladimir Nabokov and Ivan Bunin, and introduces powerful lesser known voices, some of whom have never been available in English before. Here is Yuri Felsen's evocative, impressionistic account of a night of debauchery in Paris; Teffi's witty and timely reflections on refugee experience; and Mark Aldanov's sparkling story of an elderly astrologer who unexpectedly finds himself in Hitler's bunker in Berlin. Exploring displacement, loss and new beginnings, their short stories vividly evoke the experience of life in exile and also return obsessively to the Russia that has been left behind - whether as a beautiful dream or terrifying nightmare. 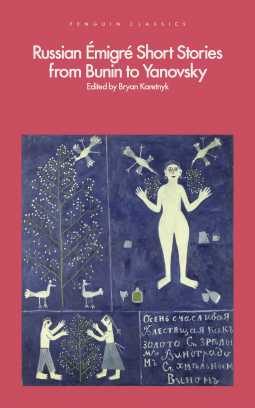 By turns experimental, funny, exciting, poignant and haunting, these works reveal the full range of émigré writing and are presented here in masterly translations by Bryan Karetnyk and others.